Drinking greens and eating kale salad, what is this? So I admit, I’ve jumped on the super foods bandwagon. As you know, I love trying new things and while it can be liberating to explore on my own, it’s even more fun when I have a group of people, or even a couple, to tag along and experiment together. Last Wednesday I shared a bit of my food from Santa Barbara, so it was only fitting to share some of my spread from my time in Laguna Beach. My grandparents were actually lovely enough to indulge my foodie habit and try two new restaurants. 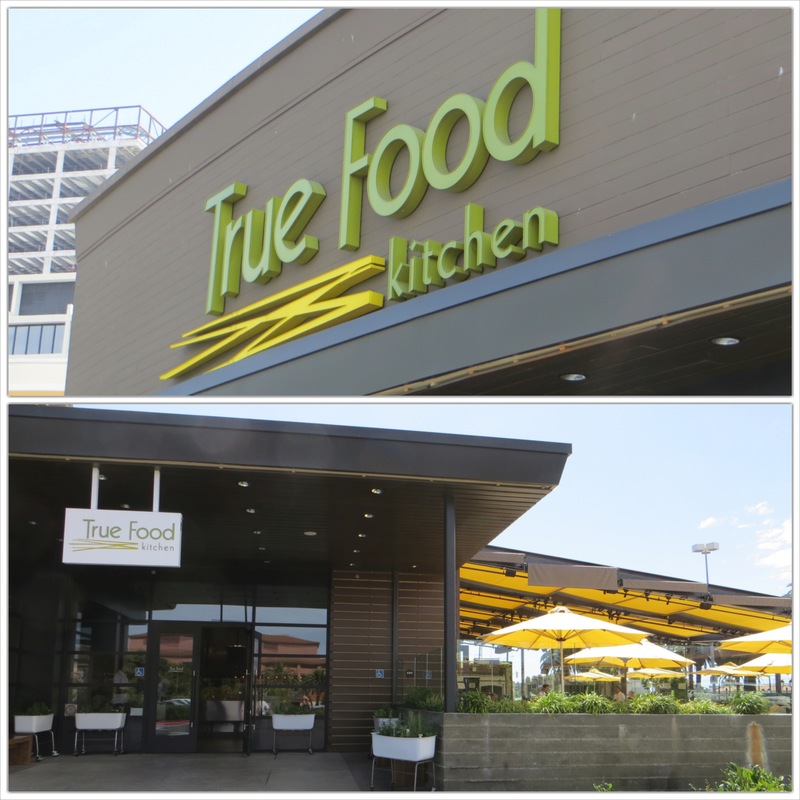 The first was True Food Kitchen, located at Fashion Island in Newport, California. 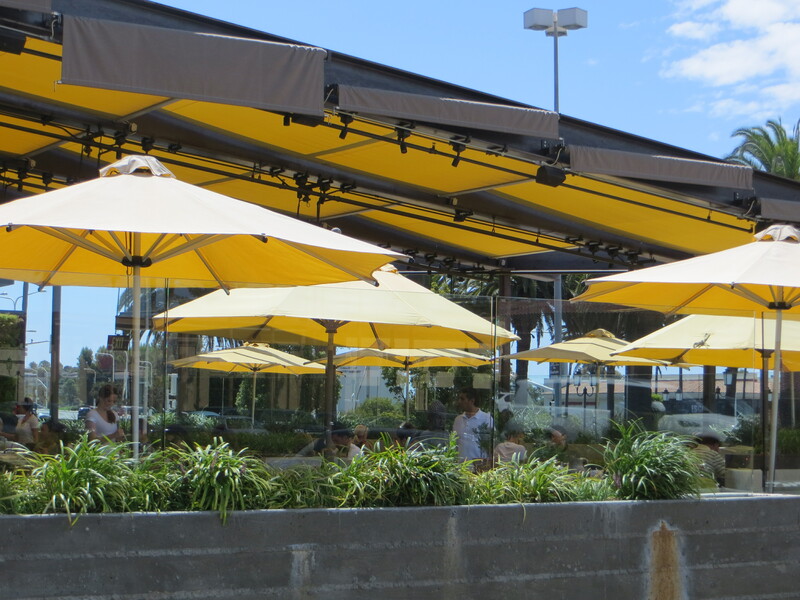 The restaurant itself sits outside the outdoor mall and has a lovely outside patio, which I highly recommend. The interior of the restaurant has arched ceilings and modern furniture, but can be very loud as the sound easily reverberates against the walls. 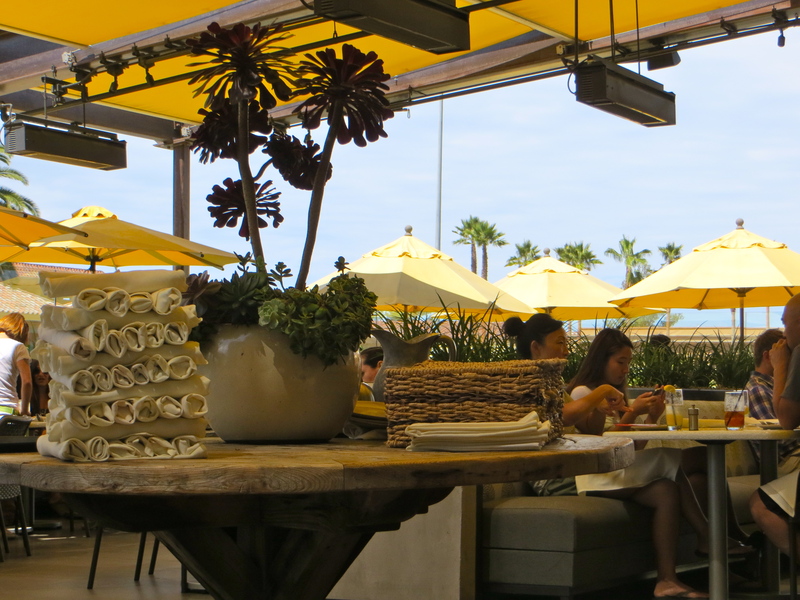 It’s known as a place for “guilt-free eating” where chefs whip out dishes filled with fabulous and flavorful organic items. Papa started off with a cup of chicken noodle soup, which wasn’t anything out of the ordinary and tasted like something my mom made with rotisserie chicken and Trader Joe’s broth back in the day. He also ordered a chicken chopped salad (cranberry, date, jicama, manchengo, farro, marcona almond, & champagne vinaigrette), only when we made sure it included chicken. It would be odd not to list chicken as one of the ingredients, but then if it’s a part of the title, it’s probably state the obvious. I’ve decided I’m in love with manchengo cheese – perfect consistency, texture, and flavor. Jamma ordered a basic pizza and seemed to enjoy it as she raved about the crust throughout the meal. Gluten free crusts are also offered for those interested! I selected a green juice (oh yes, when the opportunity arises, I pounce), which was a true winner. This “Kale-Aid” may be the true winner, filled with kale, apple, cucumber, celery, and lemon. It actually comes with ginger, but noting my previous dislike for it, I asked for it to be excluded. Along with my delectable green juice, I ordered spaghetti squash casserole, which consisted of spaghetti squash (obviously), marinara sauce, and was topped with mozzarella. I loved the consistency of the squash and am always a sucker for cheese, so overall successful. My only request would have been to heat the dish more before delivering it to the table. 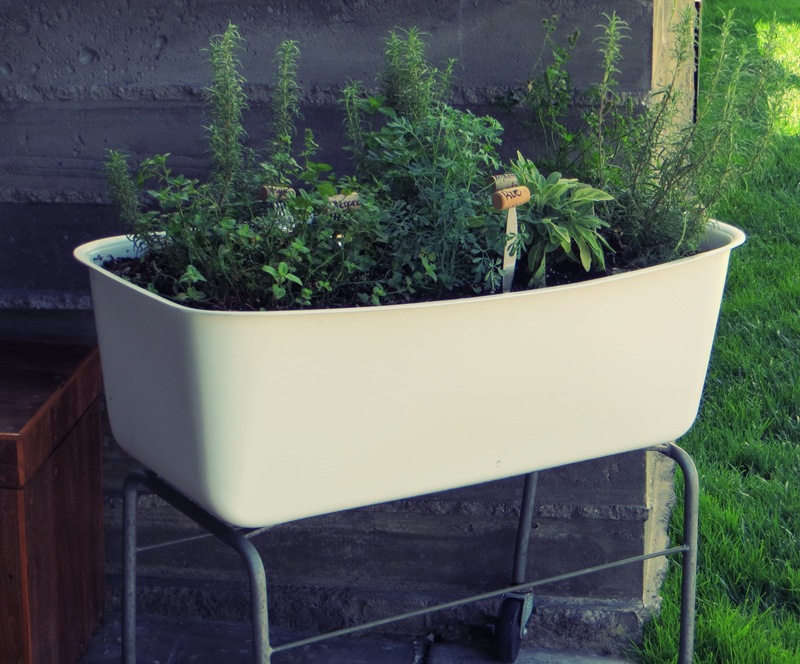 It arrived a bit lukewarm and while it was hot outside, I prefer my hot dishes HOT and my cold dishes COLD. I happened to overhear the woman next to us have the same issue although she asked for her dish to be reheated; something I didn’t exactly think of in the moment. Lately I’ve been experimenting with removing various sugars from my diet, but with a menu focused on natural and low-sugar concoctions, how could I say no? At the insistence of my grandma, I treated the day like a special outing, one last day out with grandparents before I move to New York. 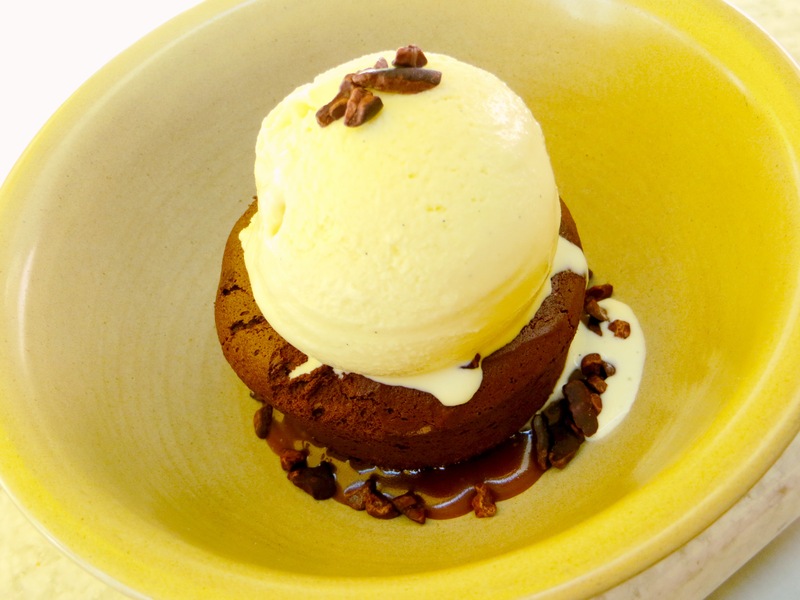 We settled on the flourless chocolate cake with 72% cocoa, a scoop of vanilla ice cream, and caramel. Got milk anyone? 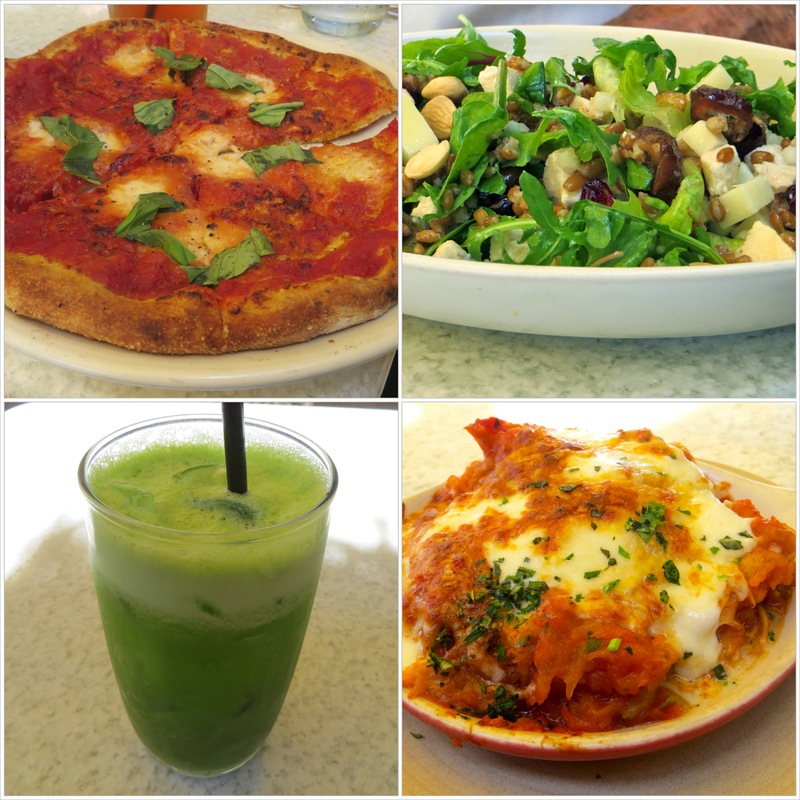 This entry was posted in Eating Out, Quick Trips and tagged Fashion Island, flourless chocolate cake, green juice, Newport, salad, True Food, vegetarian by Kaitlin. Bookmark the permalink. Man, you and I are restaurant twins! Go figure, we are both foodies that live in the same(ish) area 🙂 The first time I went to True Food Kitchen I also ordered the spaghetti squash casserole and because the occasion was my 21st birthday, I tried some Acai Beer! I hate to say it but I think the beer was better than the casserole! Oops.